I met up with Andrew Wilson a few weeks ago at Savill Garden – he redesigned the Rose Garden there so it seemed the most appropriate place to meet….and the coffee and cake’s good too! 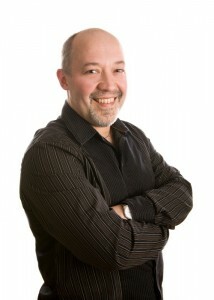 Andrew is an award winning designer, writer and lecturer and is one of the founding directors of the London College of Garden Design. As well as writing several books, he has contributed regularly to the RHS garden journal ‘The Garden’ and BBC ‘Gardens Illustrated’ magazine. He is an Assessor for the RHS for show gardens and has been assessing and judging for 17 years, mainly at Chelsea and Hampton Court flower shows. When you speak to Andrew you understand very quickly that he is passionate about teaching and over the years he has taught in many different design schools and universities. 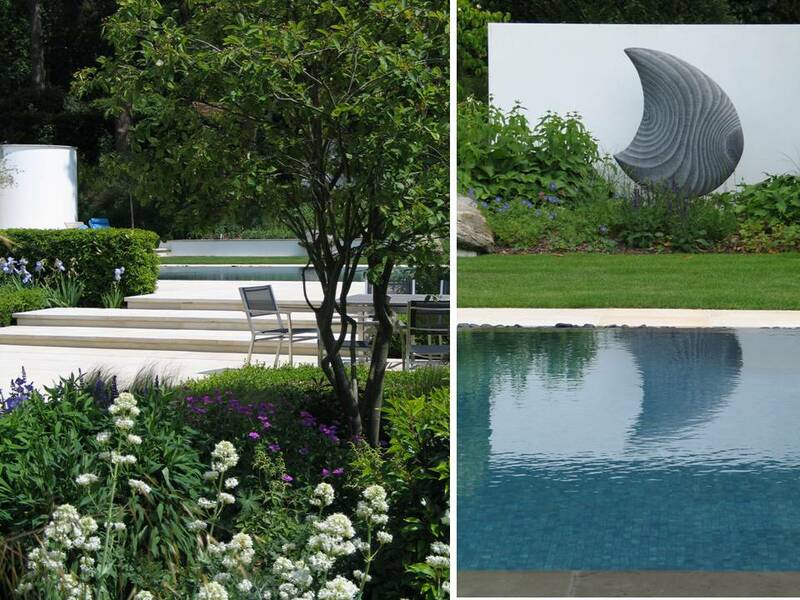 As you’d expect, he is also extremely passionate about design and throughout his time teaching, he has successfully run his own garden design business, Wilson McWilliam Studio, which he now partners with fellow designer, Gavin McWilliam. 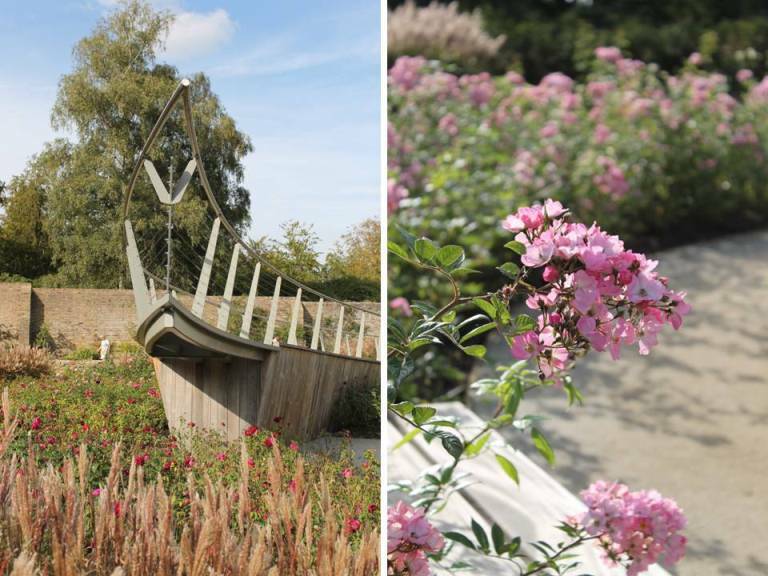 Andrew loves Frederick Gibberd’s Garden in Harlow because it has a wonderful connection to the surrounding countryside. He also loves Cliveden in Taplow, near Maidenhead, which has panoramic views over the River Thames. 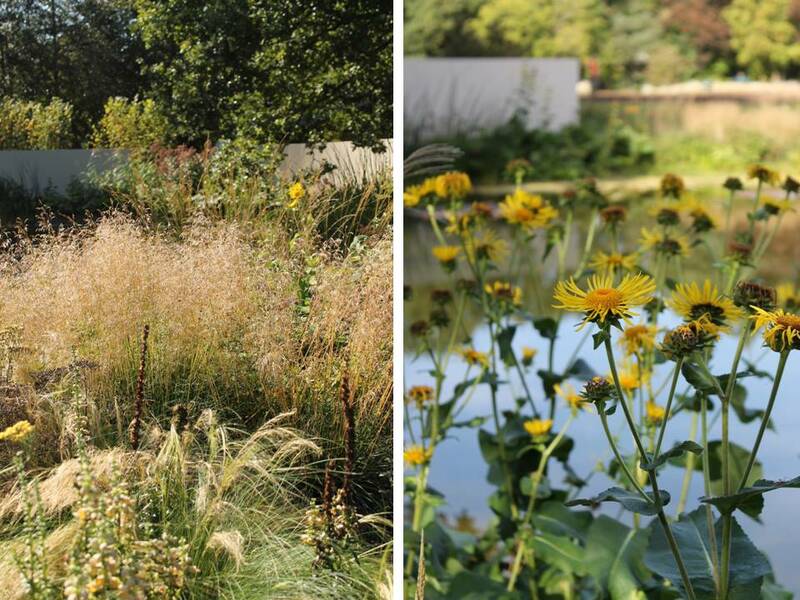 The contrast between these two gardens is one of atmosphere and scale. Andrew believes that gardens should have a sense of place. Good garden designers will rejuvenate the space, pick up the magic that’s already there and then work in some new things that bring it to life. The site analysis at the beginning of any design project is so important – designers should be asking themselves what’s already great about the space and why is that so. Different designers get their inspiration from different things. For Andrew he gets his energy from being out in fabulous places – this could be anything from an art gallery to a Cornish beach to an amazing garden. When designing Andrew much prefers to work with bigger spaces because they have more scope. 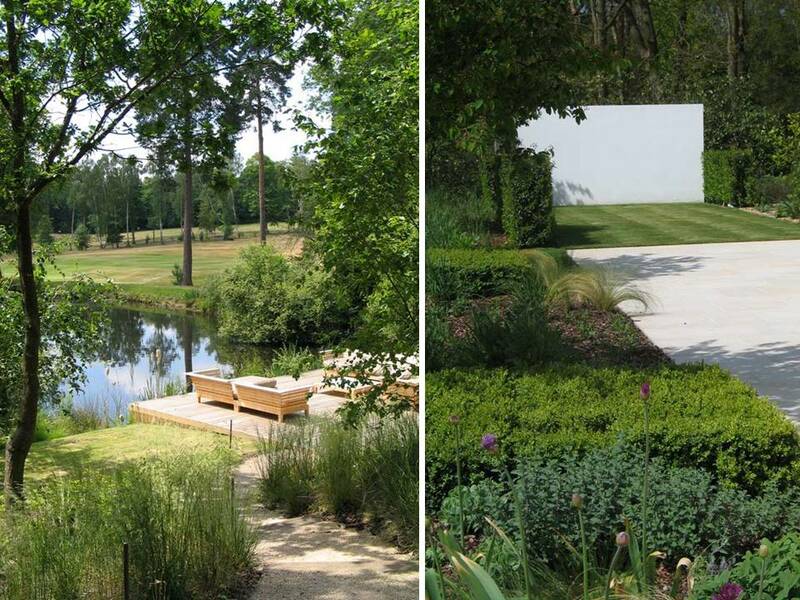 One of his favourite recent projects is a garden in Weybridge with a lake that provided a fabulous view from the house. 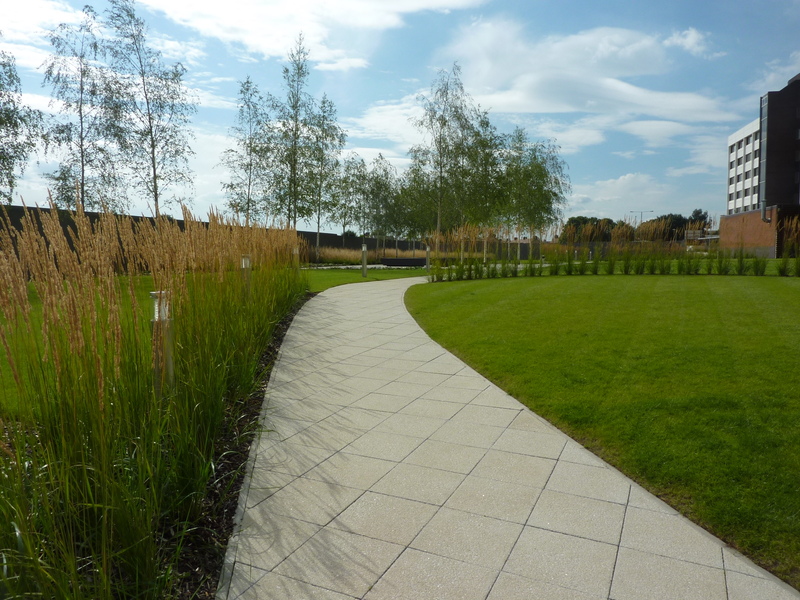 Investment in planting on this project enabled him to create something really quite special that tied in with the house and the surrounding area. 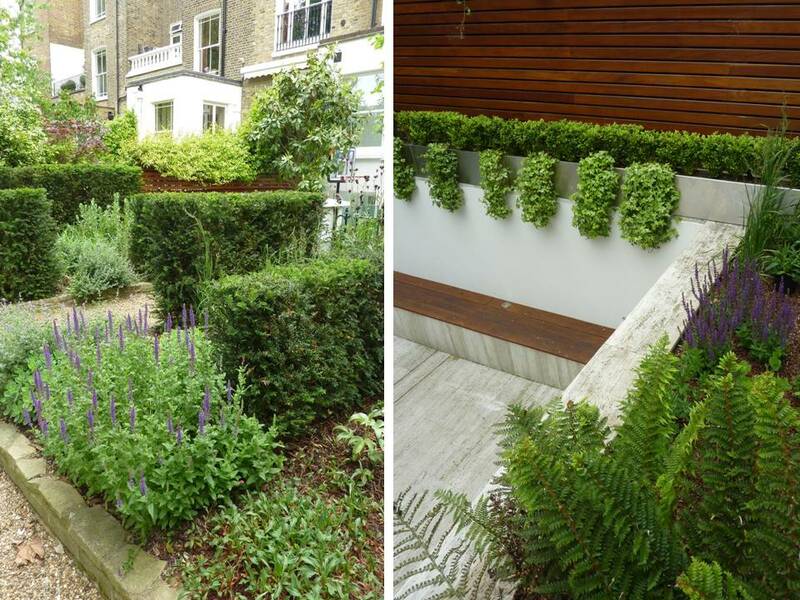 One of the most rewarding things about this project was the shift in his client’s passion for the garden as it emerged to in its full glory. Indeed I did – might have been a bit tricky for him to eat cake and drink coffee if he’d left it on!